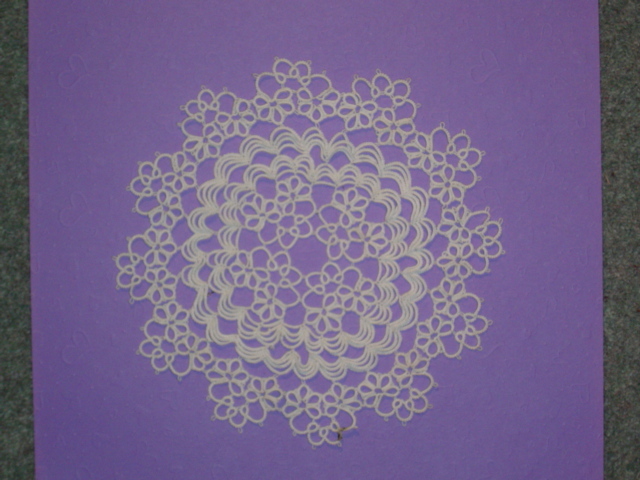 Tatting is a form of lace-making using a shuttle wound with thread, and very often attached to a ball of thread. It is a very old craft, but lost it’s popularity, until relatively recently. 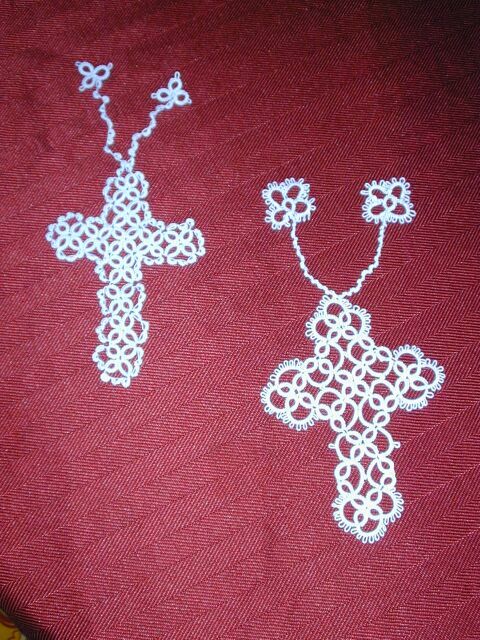 I taught myself Tatting from a leaflet when I was in my teens. I used to tat on the way to work on the train, and had a lot of comments, as in the 1960’s not very many people had seen it done. I joined the Ring of Tatters, and still tat today My current work is shown below and on --. www.wendytats.blogspot.com . July 2010 .No Text for the moment. 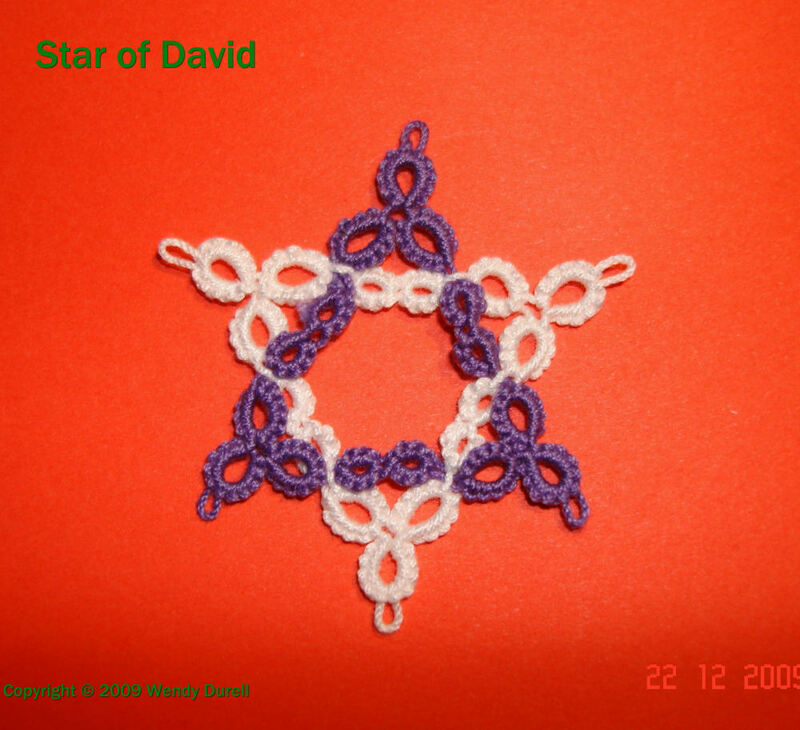 February 2010 The picture on the left below is a Star of David I designed. 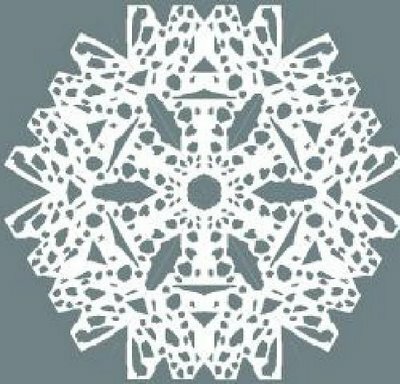 Originally I tatted it in one colour, but it only looked like a snowflake. When I used two colours it changed into a distinctive Star of David. The next picture is of a Cockerel or a Rooster, as it is known in the US. 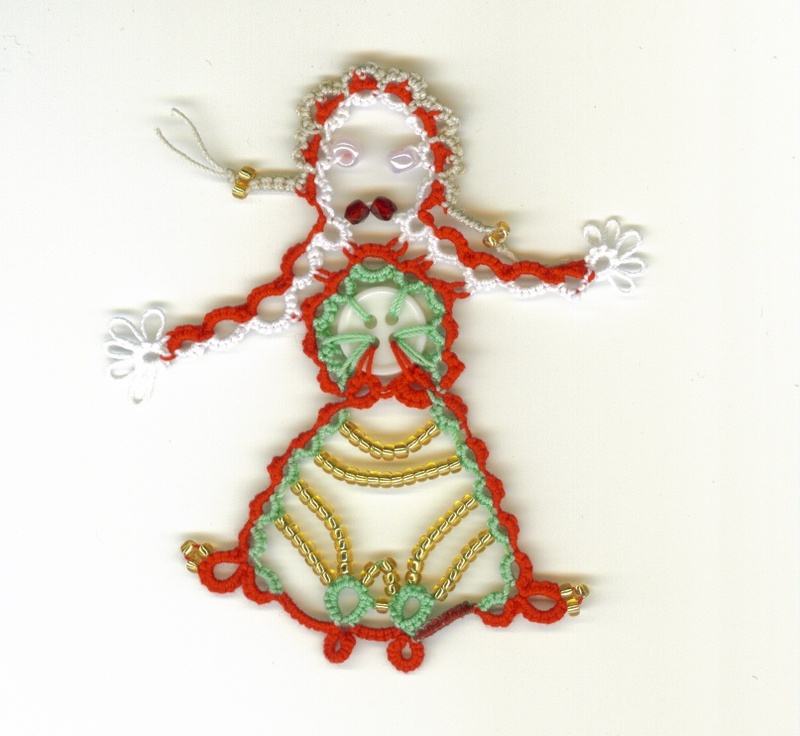 It was worked as a TIAS on Jane Eboral’s site http://www.tatitandsee.blogspot.com/ . The last picture below is a piece I tatted from Mark Myers website entitled ‘Holly Leaves and Berries‘ http://www.tat-man.net/tatterville/tatterville.html I used Coats 20 in variegated green and red for the berries. 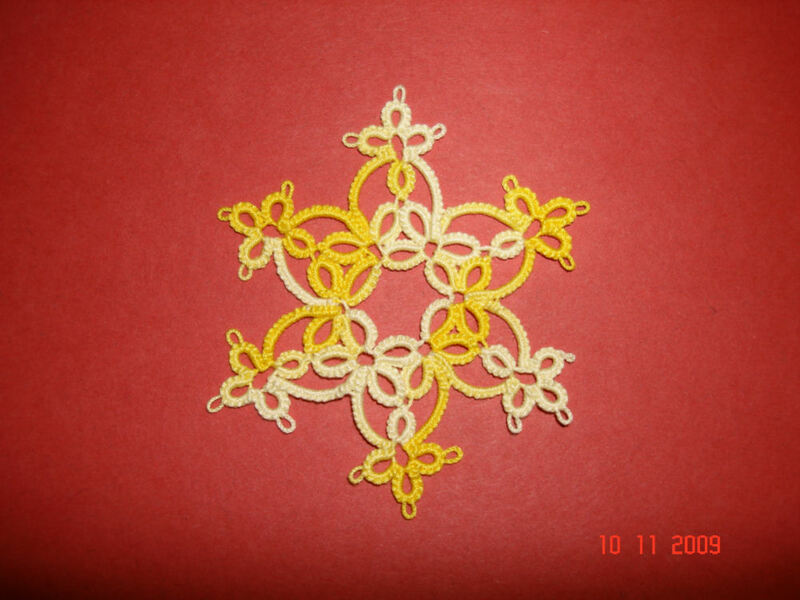 Nov 2009 The 4 ring snowflake is a new design of mine. There are lots of split rings in the centre and it is tatted in No. 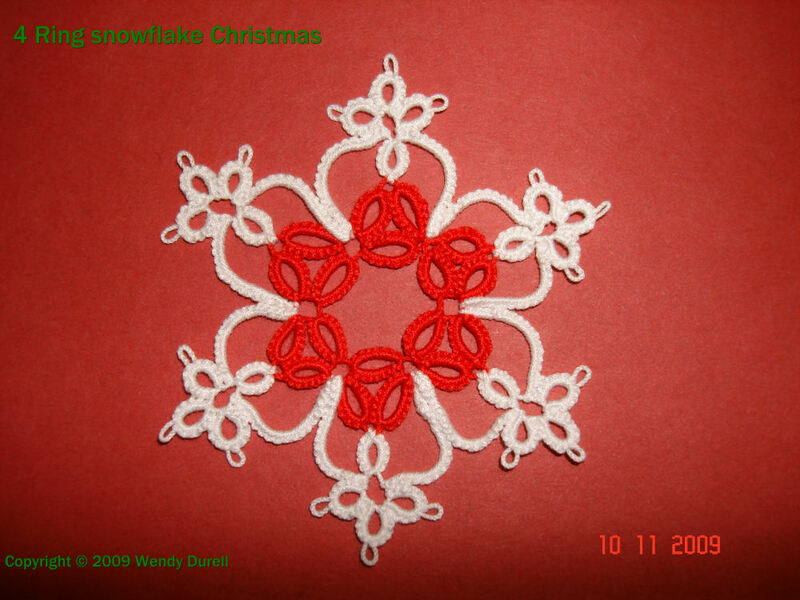 20 thread.I tried tatting the snowflake in different threads and colours. This is it, tatted in variegated Flora 20. I think it looks quite different. 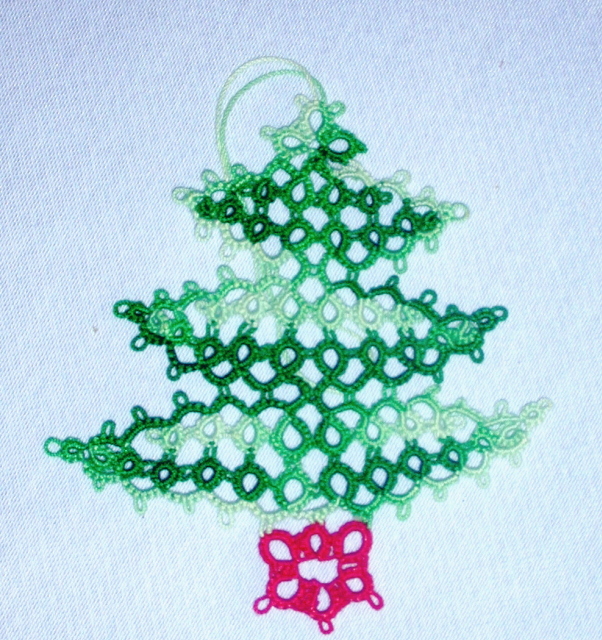 Then I tried tatting it with a slightly different stitch count. As you can see, it has changed the shape. It is in Christmas colours, also Flora 20. It will be in the Christmas Swap on the Crafts Forum America. Oct 2009 This is a design that I have been working on for the last few weeks by Sharon Briggs for her new book Marvellous Motifs. She designed the rose and plain motif but wanted to see what they would look like as a mat. There are nine in all. Five of the rose, four plain. 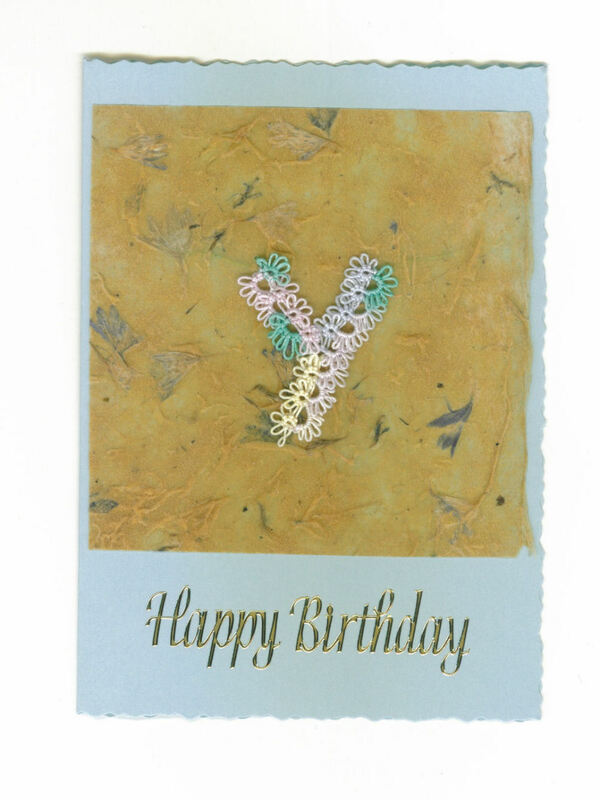 The thread I used is Flora 20 in a variegated green. The roses are also Flora in three different gold/yellow colours. The edging I tatted in the same colour as the basic rose. 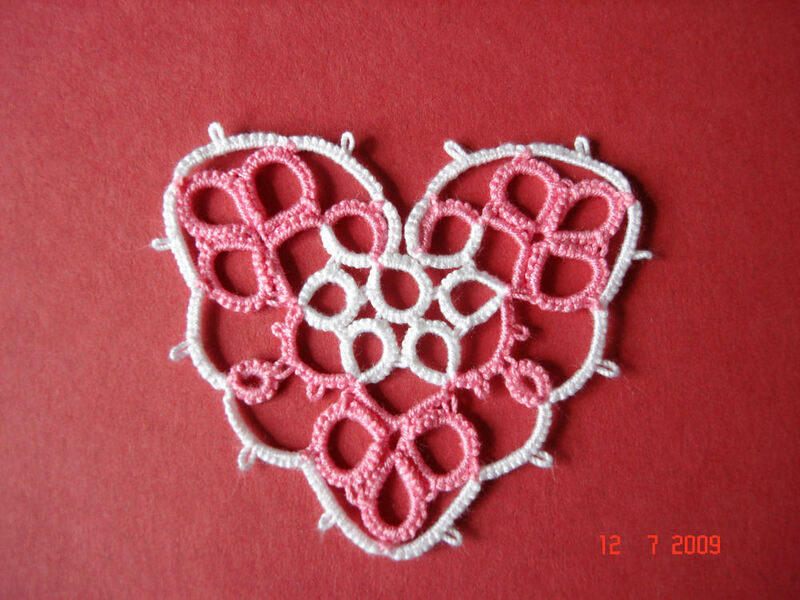 Sept 2009 I have taken a tatted snowflake, as part of the designing course, designed by Jane Eborall and made it into a heart, using 2 colours and a few split rings. 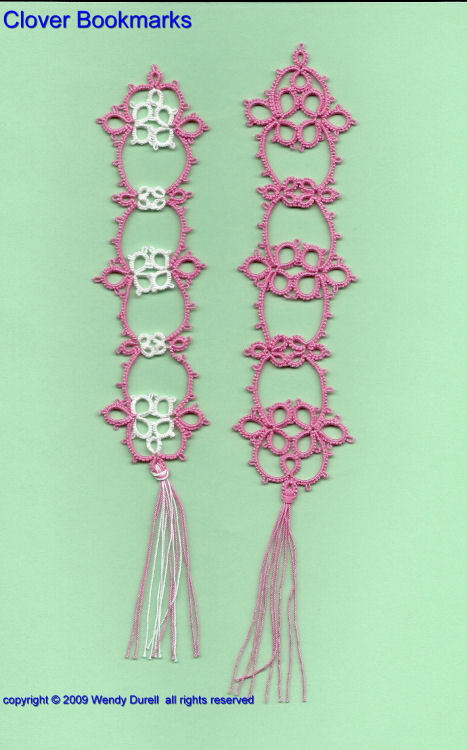 Using the clover pattern from my Clover doily I designed some bookmarks. 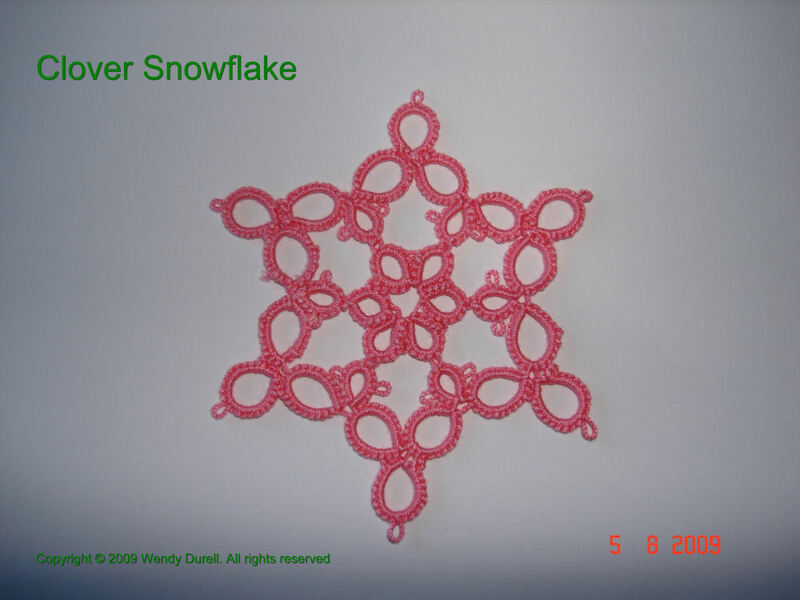 I designed a ‘Clover Snowflake’ one in white and one in pink, which shown below. 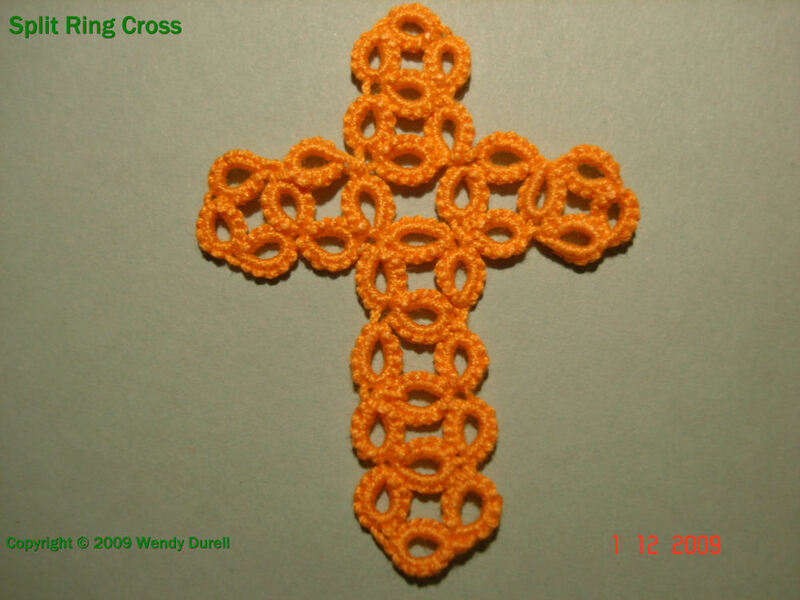 Aug 2009: I have started a BLOG www.wendytats.blogspot.com for my tatting, where you can see the tatting I designed on Sharon's course. 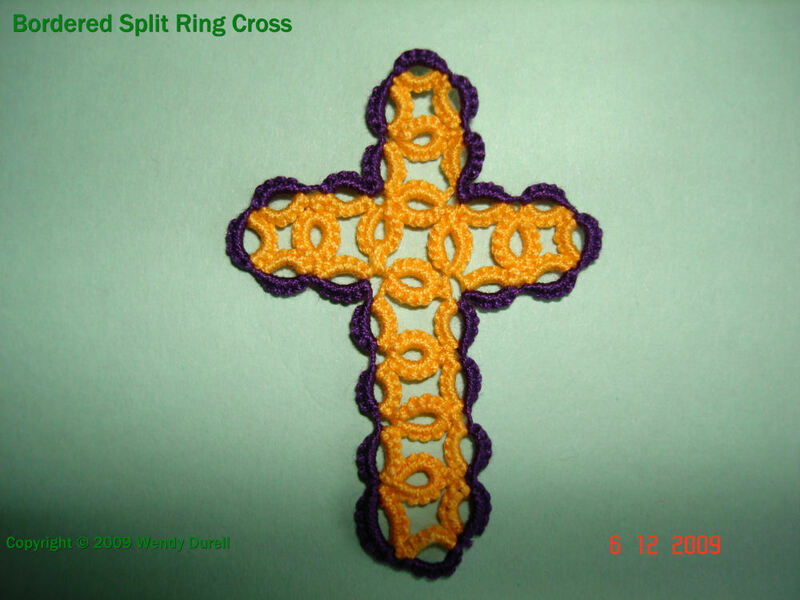 March 2009 - June 2009: I am taking part in a Tatting Design course on the internet. 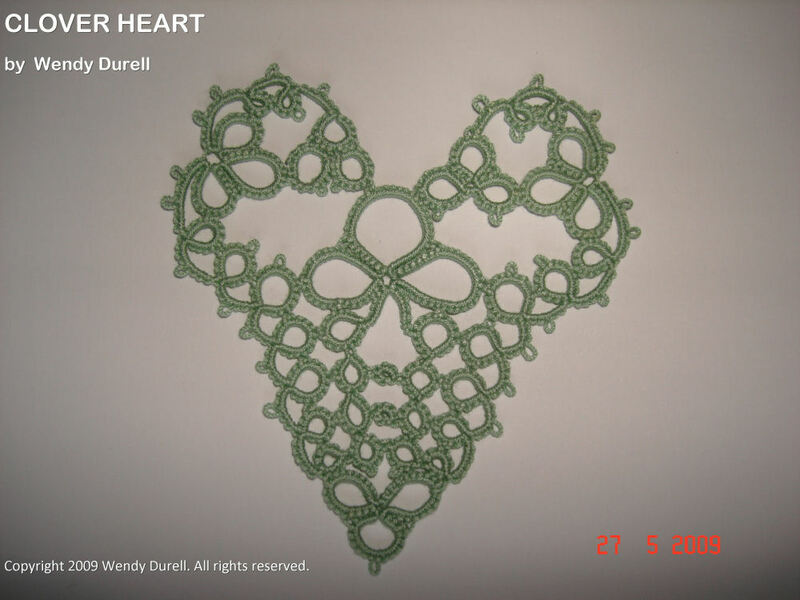 The course is being run by Sharon on her blog 'Design-Tat' http://www.design-tat.blogspot.com/ I have been following the course and the ‘Squared Circle’ little doily, on the left below, is the first piece I have ever designed. I have prepared a diagram for tatting this piece. Sharon gave us the centre and we had to design the second round. We had to write out the pattern in a long form, with a detailed explanation, and an abbreviated short form and then to draw the diagram. 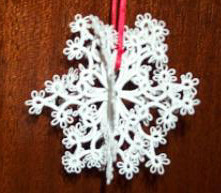 We then had to make a new design from a snowflake picture that Sharon gave us, picture above. In the end my snowflake turned into a Clover Heart. I worked out the stitch count as I tatted and made a few alterations to improve the design. 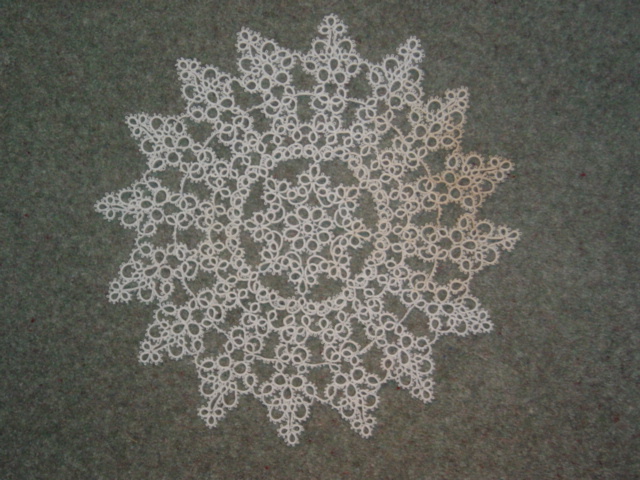 The picture above of the Clover Doily is another of my designs and I'm pleased with the result. Sept 08: I am working on the 4th. "TAT IT AND SEE", pictured below, this time organised by Ladyshuttlemaker. The first photograph below shows day 1 and day 2 of the project. This was the first time I have worked Block Tatting but with the help of Jane's instructions "Block Tatting Without Changing Shuttles", I was able to achieve it. As Ladyshuttlemaker puts more instructions on her website I will tat it and see. So far I have no idea what the finished object will be. Day 12 completed at last and it's a lighthouse. The closest I got to guessing what it was, was the Empire State Building. I enjoyed tatting it and learned some new techniques. Thank you Ladyshuttlemaker for organising it. I tatted the sweet swan and Icthus symbol, below, from Mark Myers web site. Most of the patterns in the line of pictures below this paragraph are from Rosemarie Peel's various Tatting books, of which I have many. The button family, of which the lady in the panel is the first one I've completed, was another TatitAndSee from Jane's site. 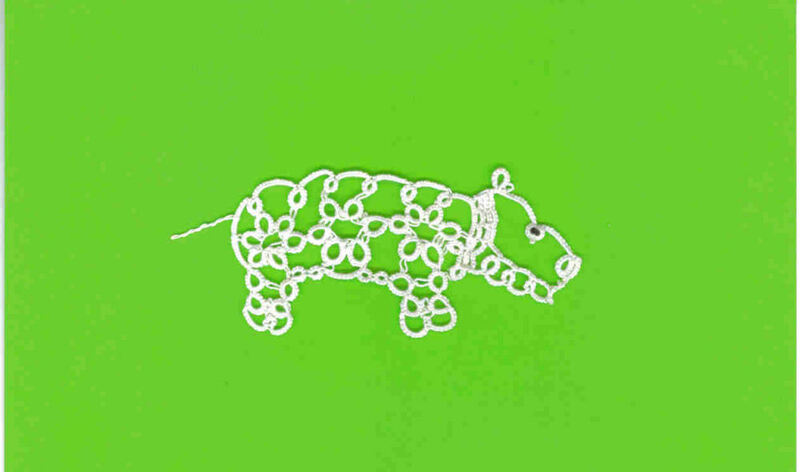 This was more complicated than the Hippo as it uses beads and very long picots. It was great fun to do and there were many guesses as to what it would turn out to be. The prize, when it was finished, was the patterns of the whole button people family, including the dog!!. The butterflies on the card I tatted using an original English Aero shuttle Jane Eborall swapped with me for a book I had 2 of. I have never used an Aero with the little crochet hook attached before, but got on very well. The butterfly pattern is from Rosemarie Peel’s book Tat Five. The Seahorse is from Jane Eborall's web site The Teddy Bear is from The Big Book of Tatting, designed by Darlene Polachic and the flower was another TatitAndSee by Diane M Saunders. The Flying Minor Norwegian Berry Dragon I tatted on a birthday card to my son,was designed by Anne Bruvold http://nuperelle.blogspot.com/ http://www.nuperelle.net/drager/monstre/MinidragerEng.pdf.